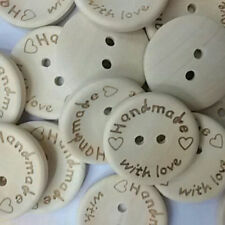 Wood Pendants, Flat Round, BurlyWood. Highly requested wood components available in fun, lightweight styles. 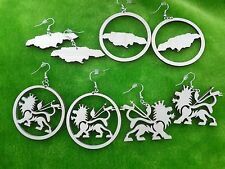 They can be matched with jumprings and hooks, as well as chains, glass beads, acrylic beads to be popular earrings, necklaces an so on. Prefect for many craft projects such as sewing, knitting, scrapbooking or cardmaking. Colourful buttons for your own individual character artwork. Color:AS the picture show. If you are not satisfied when you receive your item. Prefect for many craft projects such as sewing, knitting, scrapbooking or cardmaking. 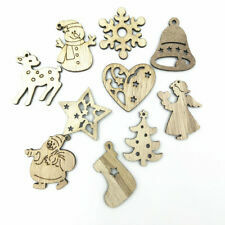 Size: Approx:30X27mm Thickness: 2.0mm. If you are not satisfied when you receive your item. Prefect for many craft projects such as sewing, knitting, scrapbooking or cardmaking. If you are not satisfied when you receive your item. The images are for reference only. Color:Shown as pic. Size:1.3 1.5cm/0.5 0.59in. Quantity: 20pcs. Color: Coffee. Made of premium Wooden material, non toxic and durable. Material: Wooden. Type: pendant base. 20 x pendant base. Suitable for inner size 5mm round cabochon. Due to the light and screen difference, the item's color may be slightly different from the pictures. Prefect for many craft projects such as sewing, knitting, scrapbooking or cardmaking. Size: Approx:40mm Thickness: 2.0mm. Colourful buttons for your own individual character artwork. Color:AS the picture show. Natural Round Multi-hole Wood Charm Pendant For Counted Cross Stitch Kit. Hole Size:4mm( 1/8"). Color : Natural. Quantity: 10 PCs. Material : Wood. Color : Natural. Condition : 100% New. Note : thickness：3.2mm( 1/8") hole size: 2.6mm( 1/8"). Check out this item at ". 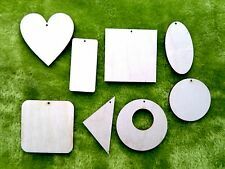 Size Approx:40 40MM Hollow Circle Size 16 16mm Hole Size Approx:2mm. Color: Brown. Color:As the picture shown. We will do our best to make you satisfied. Size:50 50 2(approx.). Place of Origin:China. 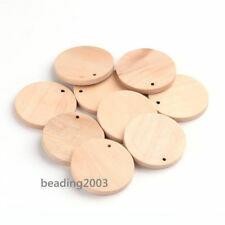 50 PCs Wood Charm Pendants Round Natural 3cm Dia. Size Approx:3cm Dia. (1 1/8") Hole size: 2mm( 1/8")Thickness: 5.1mm( 2/8"). Material Wood. Color Natural. Check out this item at ". Size: about 60mm long, 60mm wide, 2.5mm thick, hole: 1.8mm. Beads Cap & Cone. Wood Printed Big Pendants, Flower,Random Mixed Color. ♛Pendants & Charms. Wood Beads. Glass Beads. Bezel(Pendant & Link). Bezel & Cabs(Pendant& Link). If you are not satisfied when you receive your item. Color:Randomly Mixed. If you are not satisfied when you receive your item. 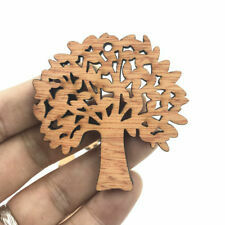 100 Assorted Bright Color Wood Cut-Out Charms Pendants. Colour :Mixed Colour. Material: wooden Colors of what you get may be different from the photo. colors are not as mixed as photo. 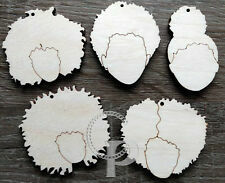 10 wooden Russian doll charms pendants. NOTE Colour may vary slightly due to individual monitor set up. 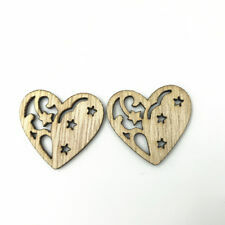 Size : 35mm long approx, 16mm wide approx, 16mm thick approx, hole 2mm approx. 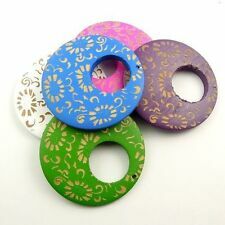 Wood Printed Big Pendants, Flower, Mixed Color. Size: about 60mm long, 60mm wide, 2.5mm thick, hole: 1.8mm. BUY 2, GET 15% OFF. We respond to all queries with in 24 hours. Prefect for many craft projects such as sewing, knitting, scrapbooking or cardmaking. Colourful buttons for your own individual character artwork. Color:AS the picture show. Prefect for many craft projects such as sewing, knitting, scrapbooking or cardmaking. Color:AS the picture show. You may also like. If you are not satisfied when you receive your item. Prefect for many craft projects such as sewing, knitting, scrapbooking or cardmaking. Colourful buttons for your own individual character artwork. If you are not satisfied when you receive your item. 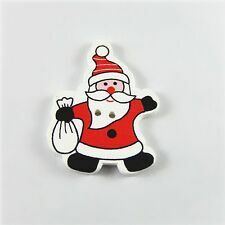 Size Approx:3cm x3.5cm Hole size: 0.9mmThickness: 1.9mm( 1/8"). Material Wood. Check out this item at ".